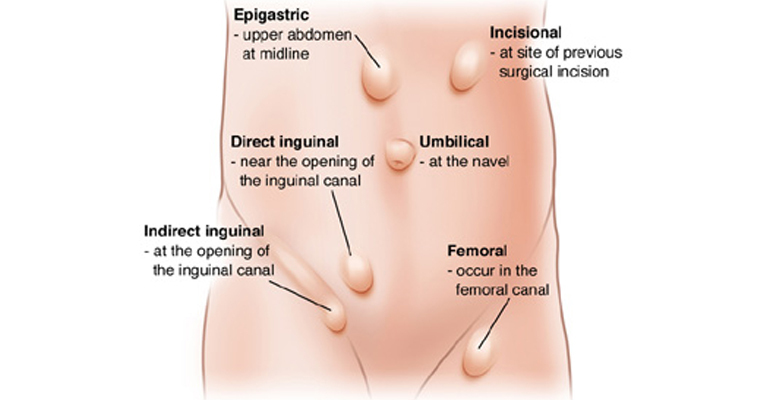 A Hernia occurs, when an organ pushes through an opening in muscles or tissue that holds it in place. Most common symptoms is a bulge in the affected area. Weakness, pressure or feeling of heaviness in the abdomen. Surgery by (open or laparoscopic technique) is procedure of choice. Laparoscopic approach is perform over open technique as it results in less post operative pain and early recovery to work.